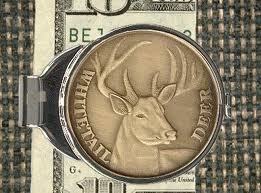 Where the buck ($) stops. Sure, we value what they enable: classes, guidance, a very special piece of paper that looks lovely framed on an office wall or teaching studio. But be honest, how many of you really knew what you were signing up for by taking out those loans? Speaking personally, I knew very little, other than the fact that buying books and music (ok, and maybe dessert at Gullifty’s…that oreo cheesecake was my Achilles’ heel…) waited until that check hit my account. Rent, groceries, tights for dance class, parking fines…everything waited until the loan checks cleared and I was flush. Fast forward many years and several jobs later. I am still paying off that oreo cheesecake, with interest, several times over. As a student looking at a job in law (or medicine, or other fields that require years of training,) there are examples -research – to give prospectives some idea of what they could earn as a professional. No guarantees, obviously, but at least they have an inkling of how many years it’ll take them to work their way out of their student loan debt. The Times has an OpEd piece about some legislation that I think is largely overdue. Two senators have proposed disclosures about student loans, the different types that exist, and how to prioritize. I think it’s a good small step towards educating families and students about debt: but there needs to be another step for performing arts students (and studies like SNAAP are starting this part of the conversation) where they are given a realistic view of the lifestyle and the financial realities. Come clean – are you still paying off your student loans?